Dyslexia is a learning disability that causes reading and language difficulties, in terms of spoken or written. Today, there are many researches actively taking place regarding the fundamental causes of dyslexia (Temple, 2002; Ramus 2001; 2003) and a number of possibilities are beginning to emerge but the specific cause is yet to be discovered. However, there are several theories proposed by specialist doctors and researchers and also some evidence which can help in clarifying the origin of this condition and they believed that these are the possible causes which are genetic inheritance, neurological differences, phonological disorder and last but not least, hearing problem. Dyslexia is inherited in families, and is often accompanied by left-handedness which believed by most of the researchers. However, it also cannot be generalized that all dyslexic parent will have a dyslexic child or a left-handed child will have dyslexia, yet according to them, it can identified that between a third and a half of children who have learning difficulties’ history and more than half who have a family member who is left-handed are dyslexic people. That inherited genes run in the family have a defect that will cause a problem with the development of a particular kind of nerve cell in the brain. The defects in that genes which associated with problems in reading performance are known as DCDC2. It was found by a team at the Yale School of Medicine which also reported that this defective gene appears to interact with KIAA0319, a second dyslexia gene. In the journal Dyslexia, Dutch scientists reported that dyslexia is a “highly heritable learning disorder” that has a complex genetic architecture. They also added that they can identified several candidate genes which related to the reading performance that may contribute to dyslexia susceptibility. Fortunately, there are many researches are carried out in the recent years due to the advancement of technology in brain-scanning. With that, they are able to examine and compare the brain of dyslexic and non-dyslexic children. For comparison, the researchers have detected that bunch of cells are found beneath the surface of dyslexic children’s brain which lie on the surface in the brain of non-dyslexic children. These cells are supposedly moving when the brain was developing in the foetus which is to the surface of the brain but they failed and these defected cells are known as ‘ectopic’ cells (like an ectopic pregnancy, where the egg fails to reach the womb and is fertilized in the Fallopian tube). They can be found mostly in the front and left area of the brain which are very important for reading and writing ability. Besides that, they also traced that an area of the brain named magno-cellular system is smaller where it deals with the ability to see moving images. Due to this, dyslexic children will have difficulties in reading process, where the brain has to interpret the different letters and words at a faster rate as they scan words and sentences with their eyes. Neurological or brain differences is the cause of dyslexia where right hemisphere of the brain is larger than non-dyslexic children and they are having strong activity in the right side of their brain. Due to that, dyslexic children are always known to have significant strengths in areas which controlled by the right side of the brain such as musical talent, artistic, athletic and many more. Because of that, they are engaging this area frequently while performing language tasks. However, language tasks are known to be most efficiently performed in the left side of the brain. These differences lead to dyslexia which consists of structural and functional brain differences. Firstly, in structural, the brain is made up mainly of two types of material which are gray matter and white matter. Gray matter can be found at the lower part of the brain whereas white matter is within the deeper parts of the brain. Gray and white matter are composed of nerve cells and connective fibers covered in myelin, the coating designed to facilitate communication between nerves respectively. The primary function of gray matter is processing information while white matter is responsible for transferring information around the brain. According to Booth and Burman (2001), they found that children with dyslexia have less gray matter in the left parietotemporal area than non-dyslexic individuals. This could lead to problems processing of the sound structure of language (phonological awareness). Furthermore, it can be said that dyslexic children who have less white matter in this same area, which is important as more white matter is correlated with increased reading skill (Deutsch, Dougherty, Bammer, Siok, Gabrieli, & Wandell, 2005). If the white matter is less, the ability or efficiency of the regions of the brain to communicate with one another is less as well. In functional brain differences, Functional Magnetic Resonance Imaging (fMRI) is known as a method that measures physiological signs of neural activation using a strong magnet to pinpoint blood flow. This technique is called “functional” because participants perform tasks while in (or under) the magnet, allowing measurement of the functioning brain rather than the activity of the brain at rest. Several studies using functional imaging techniques that compared the brain activation patterns of readers with and without dyslexia show potentially important patterns of differences. For example, a research is carried out by Massachusetts Institute of Technology (MIT) and the Boston Childrens’ Hospital where 40 children had their brains’ scanned using Magnetic Resonance Imaging (MRI). They also had their pre-reading skills assessed. The children are at the age where they are the beginners in reading process. 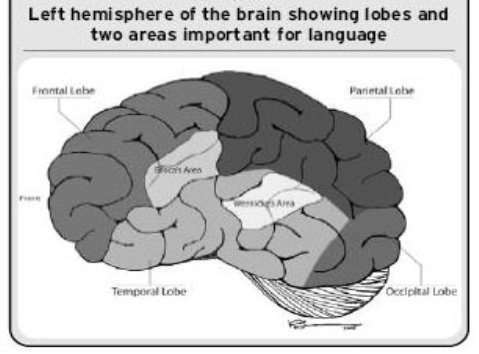 The brain scans were looking at the arcuate fasciculus (a junction that connects the areas of the brain responsible for written and spoken language). 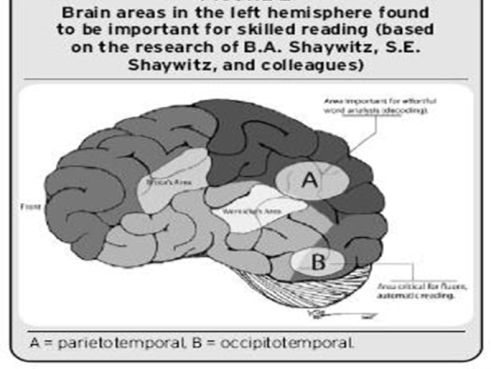 From the study, it can be identified that the more robust this brain section in children, the more likely they are to perform well on the pre-reading test of phonological awareness. Usually, for regular children, they have the ability to understand spoken language which can be acquired easily and naturally from a very early age. Regular children are able to recognize the letters that make up a word, and then use them to identify the phonemes, and put them together to make sense of the word in terms of reading and writing. However, according to theNational Health Service, reading and writing is difficult for dyslexic children because of “phonological processing impairment”. They have troubles in recognizing phonemes and therefore, they have to struggle in order to connect the sound and the letter symbol for that sound and also to blend sounds into words. It is most prominent in their native languages with a great deal of irregularity of spelling, such as Malay, English and others. 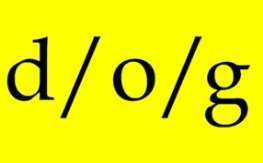 For example, the word ‘dog’ can be broken down into three phonemes. This is, of course, a three letter word made up of three phonemes. However the word ‘read’ is a four letter word that only has three phonemes. 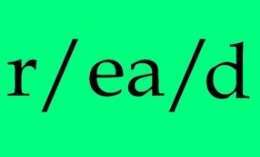 This creates confusion when dealing with the smallest units of speech sound (phonemes). Moreover, dyslexic children mostly have poor short term verbal memory which is a very common cognitive difficulty. Usually, regular children use verbal memory to blend sounds in words together when reading them for the first time. This is why an inability to read non-words (made up words) is one of the strongest signs of phonological dyslexia. Problems with short term verbal memory naturally lead to difficulties with long-term verbal memory. For example, dyslexics may often forget the names of people they have met before or the words that they learned in two days before. This shown that short-term memory also influences their phonological processing. Besides that, it can be seen that for a children with dyslexia, it takes them a lot of time to sound out a word. They are typically have trouble in spelling and expressing themselves in writing and even speaking. The phonological disorder theory is one of explanation for possible cause of dyslexia. The fact that the majority of dyslexic children have problems with verbal short term memory adds weight to the theory of phonological disorder. Indeed, they are struggling in phonological processing. Hearing problem is one of the least possible causes of dyslexia. The researchers believed that if a child suffers frequent colds and throat infections during their early age, range from 1 to 5 year, the ears will be blocked from time to time and eventually it leads to hearing problem. This condition is known as ‘glue ear’ or ‘conductive hearing loss’. The parents of the child should take this into account as it will affect the developing brain that links the sound it hears. At this point, the learning of sounds and words are essential in developing their ability to handle and link the sound to language and text as well. If they cannot hear clearly, they will be unable to hear the difference between words like ‘pin’ and ‘thin’, or ‘fan’ and ‘van’. The lack of clear hearing will also delay the child’s phonemic awareness – the ability to hear that words are made up of smaller sounds and syllables, like ‘c-a-t’, or ‘in-ter-est-ing’. Therefore, to be safe, a corrective action should be taken at a very early age to prevent the phonemic problem of their children as it causes lifelong difficulties which may lead to dyslexia. In this research study, it can be concluded that working memory skills affect dyslexic children in terms of reading, writing and spelling as there is research that stated children who have problem in reading may have severe working memory deficits. They are unable to store the informations for a long time but for dyslexic children, they may forget about it the next day. However, teaching methods or strategies are employed by the educator in Pacific Speech Therapy and Learning Centre in order to attract their attentions such as playing games, reading from books, guessing based on pictures, constructing sentences and recognizing syllables. The children are also taught individually which is between the teacher and the student only. The instructions for students with learning differences are to be explicit, systematic, structured and multisensory. There are many researches carried out by specialist doctors and researchers regarding dyslexia which lead to possible causes of dyslexia. There are four possible causes where they believed that these are the famous and found by most of the researchers which are genetic inheritance, neurological differences, phonological disorder and last but not least, hearing problem. These are connected to each other as the genetic inheritance are the root of the cause as it plays an important role of brain development and it goes on and on to hearing problem which is certainly true. However, the specific cause is yet to be discovered and still remains unclear. Regarding to the effects of dyslexia, it may varies according to the severity of dyslexia and success of the therapy followed by them. There is no cure for dyslexia as it is a specific learning disorder which need supports from educational institutes to improve on their reading, learning and spelling skills, it can be done in a special educations lessons and with the right and appropriate therapeutic methods bound with differences of each dyslexic individual, the difficulties faced by them can be reduced. Kaufman, Lorna N., PH.D., and Pamela Hook, PH.D.,The Dyslexia Puzzle: Putting The Pieces Together, Newton, Mass. International Dyslexia Society, New England branch, 1998. Carrion-Castillo, A., Franke, B. and Fisher, S. E. (2013), Molecular Genetics of Dyslexia: An Overview. Dyslexia, 19:214–240. Snowling, M. J. (2000).Dyslexia. Blackwell Publishing. "Causes of Dyslexia." UKEssays.com. 11 2018. All Answers Ltd. 04 2019 <https://www.ukessays.com/essays/medical/causes-dyslexia-1782.php?vref=1>. "Causes of Dyslexia." All Answers Ltd. ukessays.com, November 2018. Web. 25 April 2019. <https://www.ukessays.com/essays/medical/causes-dyslexia-1782.php?vref=1>. UKEssays. November 2018. Causes of Dyslexia. [online]. Available from: https://www.ukessays.com/essays/medical/causes-dyslexia-1782.php?vref=1 [Accessed 25 April 2019]. UKEssays. Causes of Dyslexia [Internet]. November 2018. [Accessed 25 April 2019]; Available from: https://www.ukessays.com/essays/medical/causes-dyslexia-1782.php?vref=1.